Limestone9 Consulting takes pride in developing sites that are soundly functional, agreeably attractive and easy to navigate. We are NOT into creating sites that are complicated or rely on gimmicks. A web site does one of two things. For businesses, it advertises and promotes specific products and/or services – the site acts as marketing platform. For individual focus, a web site is a means of self-promotion to the world. The amount of information and topics you want or need displayed will dictate the number of pages – the size of your site. This is something we will discuss with you. To make your web site user-friendly and to communicate its contents effectively, your information will be arranged in an easy to discover and review order. If you do not have an idea as to how you would like your information to appear, we will help you make those decisions. Site page development consists of a several step process particular to each item or topic. These steps include creation of page attributes, content and layout, links, color scheme and the best utilization of fonts, graphics and photos. While every web site has a "home" or "welcome" page, other pages will consist of a combination of items or topics related to the intent of your site. 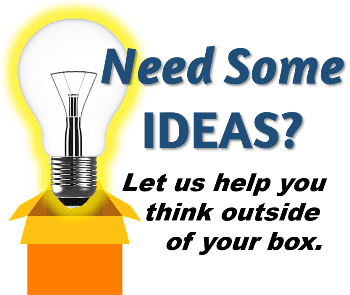 This could include: personnel information, product information, news, current or upcoming promotions, photographs or videos, and a host of other items related to specific wants and needs. We develop websites with Weebly, but if you like another cloud provided tool like WIX or Square, we can use that, too. We also are experienced with the old MS Frontpage development program should you need help with a site designed in that package. NOTE, that some client requested minor changes or deviation from original, agreed upon site plans are expected to occur during site construction as new ideas and unforeseen needs occur. These instances might or might not effect time-on-task and costs. LS9 always discusses these instances with the client before proceeding. NOTE, that it is not uncommon for clients to realize additional site content after the initial site planning and development process has begun. Integrating new content effects time-on-task and could effect costs. LS9 always discusses these instances with the client before proceeding. Social media applications such as Facebook, Instagram and blogging can also be highly instrumental in supporting your website, SEO success and overall marketing efforts. We can provide insight to these tools and can help you improve or establish your social media presence. Blogs – Weebly provides the means and tools for providing either a blog within your website. Or, a site that specifically acts and appears as a stand-alone blog. A Weebly blog can be programmed to interact with Facebook. We are very aware of the need to optimize your site so it can be easily discovered by your intended audience and search engines such as Google, Bing, Yahoo and others. Careful attention is given to creating and installing SEO related code in the backend of your site and to verbiage featured directly on your site pages. We also provide information about other SEO boosting techniques which can be addressed by clients or with our help. Prototype . . . a prototype of a potential web site might be in order for the following reasons: 1) A client might be uncertain about site needs. 2) A client might want to experiment with different design schemes, visual perspectives or content impacts. 3) A complex, multi-page site requires considerable time to design and develop… identifying acceptable and unacceptable details can prevent frustration, save time and costs. Charitable organizations . . . inquire about reduced rates. Updating & Site Maintenance . . . Depending on your site’s function and needs, updating and or site maintenance could be applicable. This would include removing outdated content and or posting new information or images in an effort to keep your site fresh for visitors, thus encouraging them to visit your site more often. In some instances, new pages might be appropriate. Page(s) can be added to a site at any time. Please inquire about maintenance rates. Can I Edit My Own Site? . . . The answer could be yes. For some, the Weebly learning curve is not too great. If you are technically inclined to a slight degree you might not have difficulty making basic updates to your site. LS9 can provide instruction both personally and through videos using your site for reference. Radical Alterations ​. . . requested site modifications due to a client's "change of mind" that effects the majority of the site or several pages of the site that have already been completed or nearly completed, will be assessed by us and then discussed with the client prior to making the changes. Radical site alterations often require considerable additional time on task, with development costs moving beyond an originally agreed upon rate. For example, modifications to layout, color schemes, images, adding newly realized content applicable to many or all pages would be considered radical alterations.